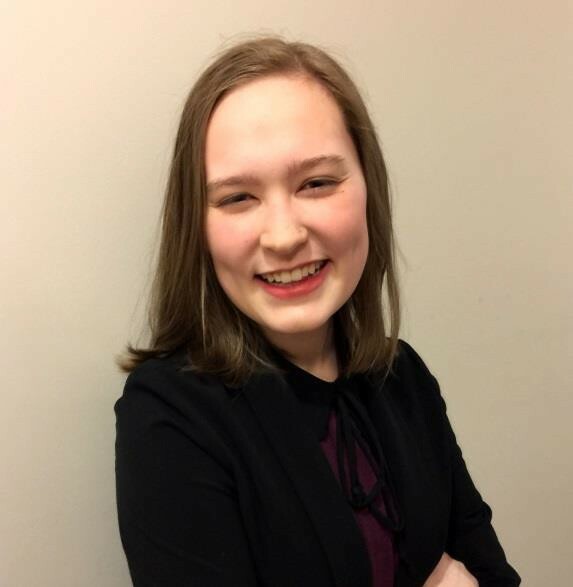 McLean, VA, March 15, 2019-- Rachel Seevers, a 2018 alumnus of CEE’s Research Science Institute (RSI), received the 2019 Glenn T. Seaborg Award at the Regeneron Science Talent Search (STS) Awards Ceremony in Washington, DC. Seevers, a senior at Paul Laurence Dunbar HS in Lexington, KY, was selected by her STS peers as the person who most embodies the qualities of Dr. Seaborg, a Nobel Laureate and former board chair of the Society for Science & the Public. STS, a program of the Society since 1942, is the nation’s oldest and most prestigious competition for high school seniors. Seevers placed eighth in the nationwide competition, and received a $60,000 award for her project developing a Virtual Winglet, which works by ejecting high-speed air at the leading edge of the underside of a plane’s wingtip to potentially improve the stability and efficiency of the aircraft. Watch Seevers’ Seaborg Award acceptance speech here. Seevers and Eshika Saxena of Bellevue, WA—who placed 10th and received a $40,000 award—were among 23 alumni of CEE’s RSI and USA Biology (USABO) programs that were awarded a combined $216,000 in prizes as 2019 Regeneron STS Scholars. TheCenterfor Excellencein Educationwas founded in 1983 bythe late Admiral H.G. Rickover and Joann P. DiGennaro,President of theCenter.TheCenter's mission is to nurturehigh school and universityscholars to careers ofexcellenceand leadership in science,technology, engineeringand mathematics, andto encouragecollaboration betweenandamongleaders in the global community. CEE’s programs include theResearch ScienceInstitute(RSI), theUSA BiologyOlympiad(USABO),and the Teacher Enrichment Program (TEP).